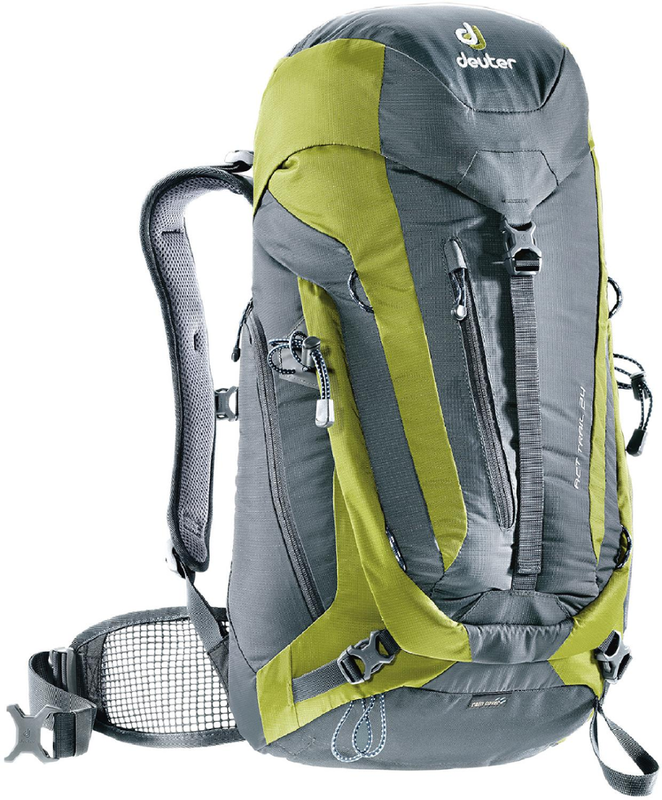 Great pack, excellent fit, good features, some weird things. Picked this pack up on SteepandCheap for around $35 a few months ago, and have since had the chance to use it quite a bit. 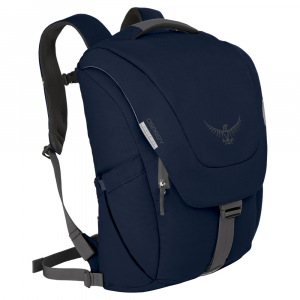 I love Osprey gear, I feel like they really put a lot of time and thought into their design, and this pack, although not quite as technical as others and a bit more on the stylish side, still has plenty of high-end features. First, it looks great. It's different, but stylish, messenger bag finally decides it's time to be functional and stay on your back. And that's the best feature of this back. 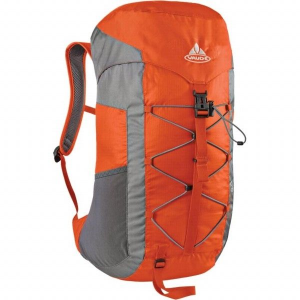 I've used it on my bike commute to school, on several day hikes, travelling, showshoeing, and just to carry stuff. The way it hugs my back and distributes the weight, pulling it closer to my back is amazing. 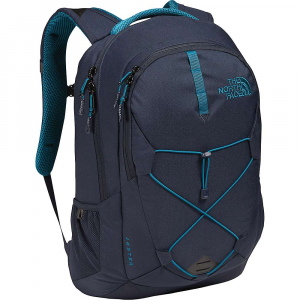 I've been using a run-of-the-mill North Face daypack for a while, and the FlapJack easily tops it for comfort and feel. It's really great. The straps are comfortable and not sweaty, offer support, but aren't marshmallows, and it fits. It feels like it becomes part of your back. Construction is top notch. No complaints whatsoever. It's a very durable pack, every attention to detail was paid, and it shows. It's a great looking, feeling, and performing pack. There are several oddities though, that keep this from being the perfect pack. First, there is a sleeve on one side of the pack that is the size/shape of a water bottle. I use a narrow-neck Nalgene for my water bottle, and it BARELY fits in the sleeve. It's tight, and difficult to remove, and if the pack is stuffed, especially with clothes or something that expands, forget about getting the bottle back in the sleeve. It's like the sleeve pocket was added on as an afterthought. It would work a lot better if you used a more slender bottle, which I don't really like much, so I'll just have to deal with it. Second, I REALLY wish there were small mesh pockets on the outside of the pack on one or both sides of the pack, like my North Face. I LOVE LOVE LOVE those for stowing my keys, a snack, headphones, whatever, WITHOUT removing my pack from my back. That's absolutely a necessary feature, and a water bottle can fit there as well. It lacks them, and needs them. Third, there are three main pockets: the main stow, a very small zippered pocket (smartphone and wallet size), and a middle pocket with a few mesh sleeves and pen holders. It's a nice touch, but it's not zippered! Just velcro holding the flap, which seems a bit lacking. I would like a zipper. Finally, the pack is just too deep. I put my 13 inch laptop in the laptop sleeve, and it disappears. It's tall and narrow, which is nice for trails, but hard to find stuff when it sinks to the very bottom of a deep main pocket. I would like to see the length along the back just a bit shorter. Super comfortable bag, sits perfectly on your back. Price Paid: not much! great garage sale deal! I think this is a great bag. It has become my favorite for all my biking needs. 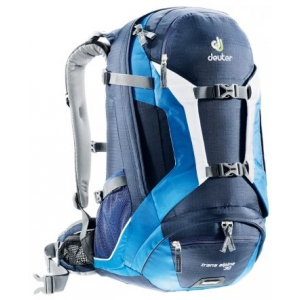 The bag sits snugly and comfortably on your back, so it is practically an extension of your body. The low profile design means it doesn't shift around when you move, and it is not bulky enough to get caught on stuff. I've been surprised to find out how much I can pack into it, much more than I had expected. The inner sleeve expands to help secure your goods, and the flap cinches down to hold everything in place. A major bonus is the laptop sleeve/pocket—plenty of space, and right against your back, so there is no possibility of bending or twisting your computer. Welcome to Trailspace, Brent. Thanks for sharing your FlapJack review. 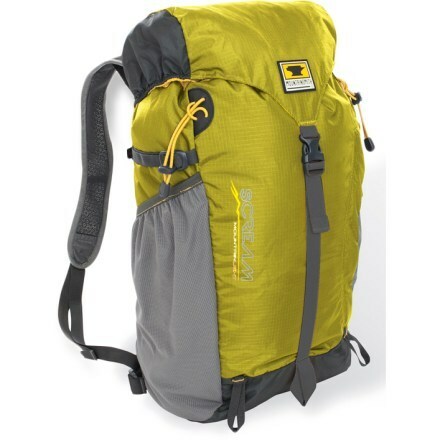 Got any pictures you'd care to share in your review of your pack? I'd be curious to see how much you fit in yours. 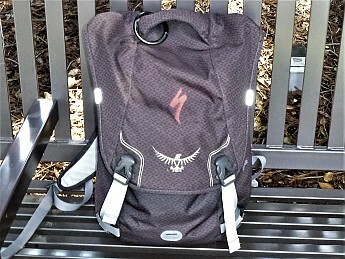 The Osprey FlapJack is a great overall pack. Very comfortable. 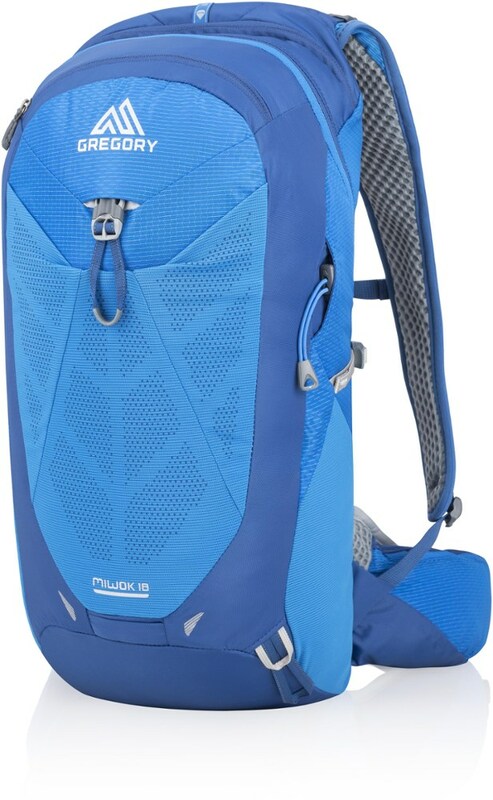 The FlapJack is overall a great outdoor backpack. It is manouverable and huge! For years I carried a messenger bag, needless to say I love them! One nice open pocket, a few others not a ton of zippers. I carried a messenger bag all through high school and while serving an LDS mission in Albania. A while ago though, I woke up and looked at myself in the mirror and noticed my left shoulder was lower than my right thus triggering me to give up my precious messenger bag for another. I chose this because this resembles a messenger in so many way and you can't go wrong! Tons of space, easy access, feels great! I love it. It holds everything I need for school, work, my day and travel! I would highly recommend this bag.